This fun bundle is exactly what the kids would pick out for Dad if they were doing the shopping! It includes a "Bacon is Meat Candy" baseball cap. 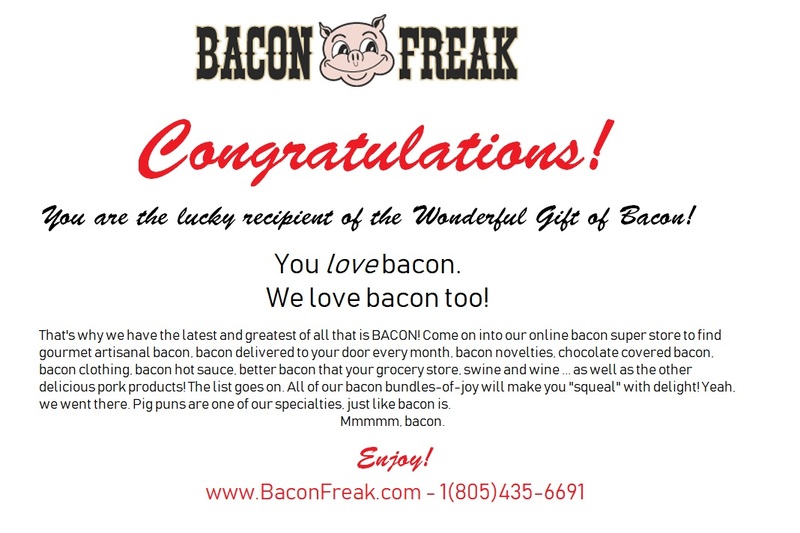 It also has package of chocolate covered bacon strips. There is a package of sizzling bacon candy that explodes in your mouth, Great. Also included is a package of bacon flavored jelly beans. Yum!